Tom Kulzer, the founder of Aweber started the company in August 1998. Over the years, AWeber has evolved to just providing service in email marketing to being one of the top service providers in the industry. In January 2014, they have 110 team members in their Pennslvania office. They provide service to over 120,000 customers all over the world. They continue to expand while giving the best service possible for their customers. Their innovative team, full or bright and innovative people makes sure that you get the service you deserve. AWeber is an email marketing service that helps entrepreneurs and individuals connect to their prospects and customers via successful email delivery. Their web-based programs provide service to over 120,000 clients daily. They develop highly functional and interactive marketing tools to make email marketing easier. Their program is simplified but has remarkable functions that ensure effective, reliable and targeted email marketing for everyone. AWeber has 700+ pre-designed email templates that you can immediately use for your newsletters. These templates are responsive and compatible with any email service and device. You can edit the themes and your content via their HTML editor. Easily match your email templates to your sign-up forms for more effective campaigns. All the themes are available in different color schemes so you’ll be able to find one that will suit your marketing needs. AWeber’s email marketing program lets you create visually pleasing, professional, enhanced newsletters with the help of their marketing tools. 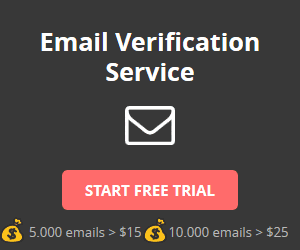 Autoresponder – You don’t need to create email responses one by one. You can send a sequence of automatic emails depending on the user’s actions or your schedule. Higher deliverability rate – AWeber makes you’re your emails get delivered and seen. Easily integrated sign-up forms – Build your contact list fast with the help of eye-catching sign-up forms. Email newsletter options – Lets you create elegant newsletters with advanced options for those who want to tweak the settings. RSS to Email – You don’t need to create a separate email whenever you have a new blog post, Aweber does it for you. Email templates – Choose from over 700 templates. All templates can be edited with html, create beautiful emails with their drag and drop editor. Tracking – Track your email campaigns and view relevant data for further analysis on your campaign’s effectiveness. Manage your subscribers – AWeber lets you manage your subscribers with just a few clicks. You can also segment them according to their actions on your emails or website. Email marketing API – Integrate APIs on your campaigns and enhance your campaigns further. AWeber has multiple offers: AWeber offers different pricing plans for their clients. You can pay monthly or pay according to your subscriber list. There are no set-up fees and no long-term contracts with the monthly plans. Payment is accepted via credit cards (Mastercard, American Express, Discover and Visa), money orders and checks. Does Aweber have a FREE PLAN? No. Aweber does not offer a free plan. Does Aweber have a FREE TRIAL? Yes. Aweber offers a free trial for 30 days. AWeber allows you to access full-features with the free trial. Does Aweber offer an API? Yes. Aweber offers an API. All Aweber users can access these APIs. Aweber offers APIs to their clients and lets them integrate any API to compatible third party tools or services.